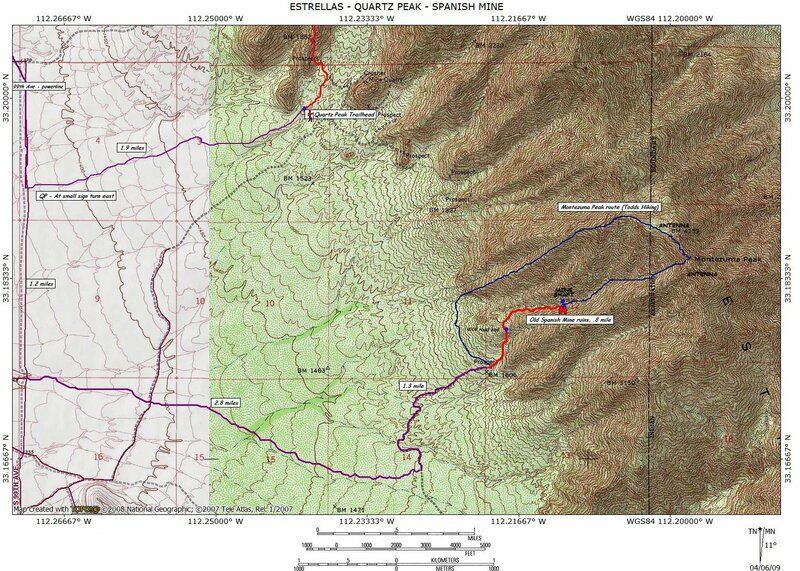 Originally I was cautious about revealing the location of the site publicly, but since it has already been disclosed on Hike AZ and Google Earth I figure encouraging more foot traffic might discourage would-be looters from doing any harm. The ravine where the stone house is. 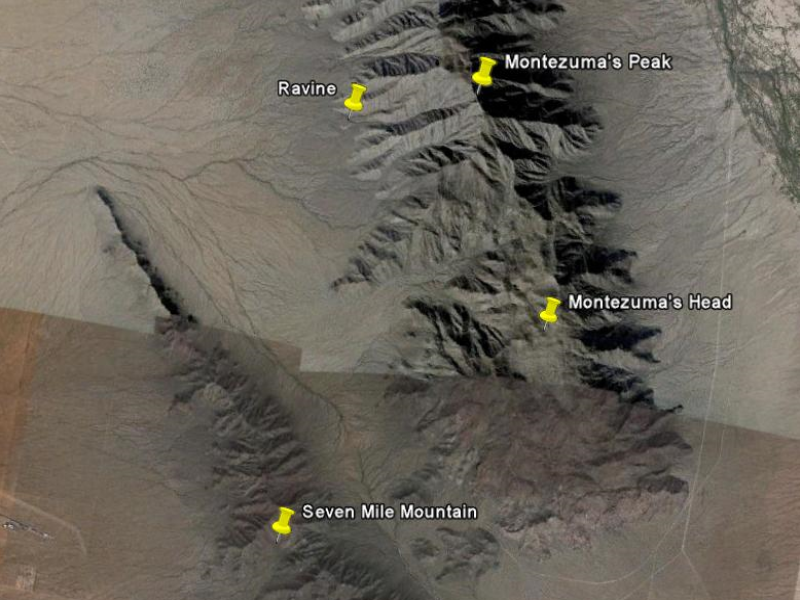 If you are familiar with the names of the mountains it is near seven mile mountain and Montezuma’s head. 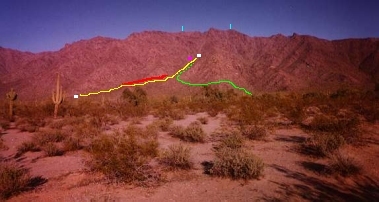 The ravine actually runs up what is known as Montezuma’s peak. I recommend you familiarize yourself with the area before setting off. Google Earth is a great and free tool to get used to the route. Imagery is now detailed enough where you will be able to distinguish all of the roads I mentioned. People have also posted pictures of the stone house at it’s correct location. Another great tool is a coordinate converter. This webpage can convert those coordinates from Google Earth or other maps into coordinates for your GPS. Most people don’t realize there is a difference. When you get to the site the ravine/canyon/creek bed travels up and curves to the right. The trail follows the right side of the creek bed. Follow this and it will take you directly to the stone house. It may be difficult to see the trail at times but just continue to follow the right side of the creek bed and you will find it. When visiting the site please be respectful and feel free to leave your name on a piece of paper in the glass jar. When you get back be sure to share your experiences by posting a comment here. Let me also share a couple resources that can help you or just check out for personal interest. 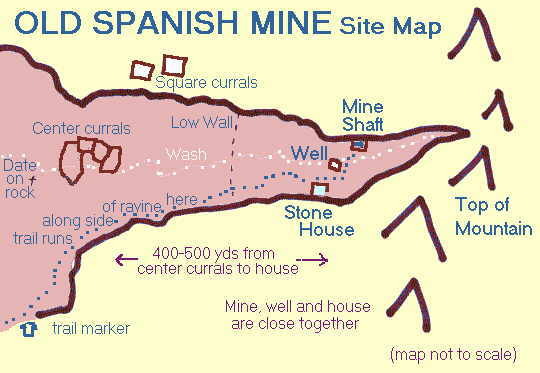 Gallery | This entry was posted in History, Issues and Activism, Mysteries and Investigations, Stories and Legends and tagged arizona gold mine, don joaquin campoy, how to find estrella mine, how to find spanish mine, old spanish gold mine, sierra estrellas. Bookmark the permalink. Love this area, as we live nearby. It’s fun seeking the discovery of what could be the oldest nonreligious dwelling standing in Arizona.